Return to camp registration page. Below is a list of suggested local camps. You are welcome to use this list or find a camp on your own. As camps are confirmed for 2019 we will update information and change the date. Feel free to look up any “unconfirmed” camps on your own, too! Note: If a camp is free or you can get it with a specific camp scholarship, then you can just sign up for it on your own. It does not need to be run through our T&E Care volunteers. Figure out the camp you want. Contact the camp itself and determine if there is still space for the dates you want and if they offer any discounts/scholarships. Throughout the winter and spring there are occasional camp fairs and/or listings of other camps being offered. We will include that information here when available. Main Line Neighbors.com has a great list of camps. Click here if you want to see that list. Many thanks to the camps below that have offered us special discounts or scholarships in the past.We will be in touch with them this spring to see if they will offer any scholarships again this year. If you are interested in any of these camps be sure to let us know so we can see if a scholarship is still available. These are great camps and you can really get a good deal for the price. They do fill up quickly so don’t delay. Registration forms online, at the Easttown Township building or the Easttown Library. 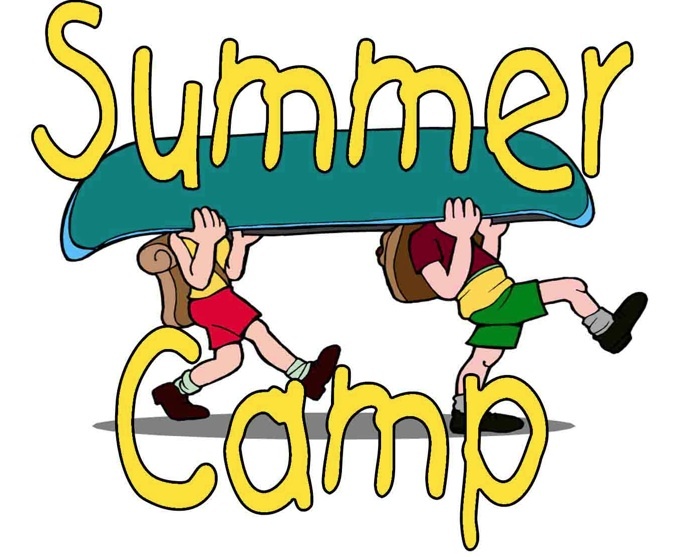 (to find it online – go to DEPARTMENTS – PARK & REC – SUMMER CAMP) Call 610-687-3000 with questions. You must register in advance. 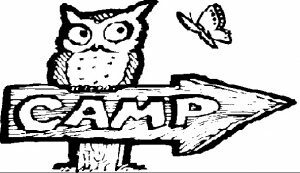 Due to popularity campers must be registered the Thursday before the week of attendance. No walk-ins. $50/week for first child; $70/week for 2 kids in same family. $90/week for three or more children in the same family. These camps do fill up quickly so don’t delay. March through May – spring only! Assorted programs and locations throughout the year, including spring and summer. Raquet provided if needed. Bring water. If you come to the morning Sky High PE Camp and bring your own lunch then you can do both camps on the same day. Combined cost is $225. See below for that information. Questions should go to admin@tesoccer@org. Lots of different sport camps offered, plus science, theater, art, etc. Call 610-688-7610 for more details. Learn to cook, each camper comes home with a freshly made dinner entree, sides, and desserts for FIVE people each night. $229/camper per week; $10 off sibling’s registrations; value of food taken home is over $165. Camp fills VERY fast as only14 kids are allowed to attend per session. Only 10 campers per session. These are local camps that offer a variety of activities and lots of options. They are not cheap but many offer extensive scholarship options through their own programs. HOWEVER, these scholarships are usually taken quickly, so check IMMEDIATELY to see if they are available. As always, we might be able to help with up to $250 of any cost, if funds are available. There are also a few GREAT teen camp options for 12-15 yrs. You MUST apply for and receive financial based assistance from the Y to qualify for T&E Care support (go TO the Y to complete that application) Check out the website for more details. PLEASE CONTACT US FIRST IF YOU ARE ASKING FOR Y ASSISTANCE. WE HAVE A PARTNERSHIP THERE AND MIGHT BE ABLE TO HELP MORE. NOTE: You do NOT have to register for any of these camps through the T&E Care program you can do it totally on your own.You will still be eligible for T&E Care assistance through another camp. It is run in coordination with the University of Pennsylvania. It is FREE to all children attending. This camp is for kids whose parents have or have had cancer to give them a chance to have fun with other kids struggling with this same situation. If you are interested please contact them at upenn@campkesem.org. If you have kids going into grades 2-6 next fall – and they like science – then this is your chance for an extremely popular FREE science camp. The GSK Science in the Summer™ 2018 program will introduce Chester County students to outer space! Registration opens May 17 – don’t wait (because it WILL fill up very quickly)! Class times are Level I (grades 2-3): 9:45-10:45 am or 12:45-1:45 pm, and Level II (grades 4-6): 11:00 am-noon or 2:00-3:00 pm, unless otherwise noted. There are other locations in Chester County if you need a different date. The website link explains those options. For middle and high school students interested in a leadership or academic camp, please contact your TESD counselor. The Foundation for Learning in T/E (FLITE) can sometimes help cover the costs of some of these camps. Your counselor can help work out these details. Camps Aren’t Just for Little Kids! Martial Arts programs are for older kids. Some of the township camps or programs run through high school (i.e. ultimate Frisbee, Tea Garden basketball league). Check out the general camp lists, too they may have even more options. Many local churches offer a week of camp for area children. Most of these are very low cost (some are even free) so they are a great way to give your child a camp experience without the cost being overwhelming. For ALL of these programs you do NOT need to be a member of the church to sign up they are open to everyone. There are many other churches in our area in addition to the ones listed below. NOTE: Most church camp details are not ready to be posted until later in April (or at least until after Easter). If you are interested in a specific camp and the updates are not listed here, you are welcome to check with the church directly. They often have the information but it’s just not yet posted on their websites. Please note that because these are such great camps (and very low cost) many of them fill up quickly. Do not hesitate to be proactive on this. Call (610) 688-6338, x230 with any questions. email office@saintlukedevon.org or abennersmith@saintlukedevon.org with any questions. call 610-644-4040 x 206 with questions. These websites list many more camps than the T&E Care website. Between our list and these other lists we are sure you’ll find something just right for your kids! The Special Kids Summer Camp Expo Directory – 2017 compiled by Valley Forge Special Services School. This is a good list of camps for kids with disabilities or special needs .